I’m single. To be more precise, I’m divorced from my second wife (I hate saying that) for nearly two years. Almost immediately after we separated I signed up for two internet dating services and pony’d up the money for six months of each. You could tell I wasn’t optimistic about these services being obsolete quickly, the pain of the divorce was still fresh despite having made my peace with the circumstances that brought it on. Everyone it seemed had an opinion about online dating, especially those who were still gloriously married and by all appearances happy. Their advice ranged from proclaiming trust in God and go to church to find a good girl, to, well as long as you look locally you are probably ok. Many well meaning friends advised on being extremely cautious to the point you should not trust anything you hear or see coming from the internet. Although I’d investigated starting an online dating site a few years before (and even launched it at one point) I had never really done any online dating, I was happily married at the time. No surprise here, the world had changed once again from the last time I was gripped with singularity. I turned to online dating for a few reasons, the first and foremost is “I don’t do the bar scene.” Another reason is a belief that somewhere in the vast sea of 6 billion people my ideal match is waiting to be found. It’s a modern day romantic vision of being an explorer and finding love on some distant shore. The rules for developing a relationship online are much different from the ‘real world’ rules. In the real world for example you don’t expect to see someone each and every day for awhile. Online, you do expect to chat or email daily. In the real world you expect to be able to go out on dates, dining or movies, picnics and hikes all come to mind too. Online, you expect to chat or email daily…and exchange recent photos. In the real world you expect to get a kiss at the end of the night, a warm hug, even some snuggling on a sofa can figure into the evening. Online, you expect to chat or email daily, exchange recent photos, and if you are lucky score a few XO’s while saying good night. Online dating is like being in a dating simulator. You get to know how someone thinks by their writing, covering endless subjects that might otherwise go unexplored if burdened with being in their presence, distracted by mannerisms (both endearing or annoying) and time constraints that don’t exist in cyberspace. After enough of this, you look forward to the day you can see and touch this other person in the flesh. If the chemistry is apparent then the lesson’s and knowledge learned during ‘simulation’ become as real and valuable as if you’d been dating this person all along….suddenly you have ‘history’ with them. I’ve slowly been piecing together a ‘Next Century’ approach to online relationship building. This works. Online dating assumes on thing, you are ONLINE and can chat. Email exchanges are not the same, you must be able to chat. There is an immediacy to chatting that doesn’t exist in the mere exchange of well thought out letters (which btw, are nice to have too). Next, a good calling strategy is mandatory. At some point you will want to hear the voice on the other end, being prepared with a cost effective calling strategy will save you money and countless hours of frustration if you find talking to them is enjoyable. I have both cell phone and online calling available to me. I have even been talking to someone far away and taken them grocery shopping or to other stores just by keeping them on the phone while I did those things. When I was married I recall many occasions in which I talked to my wife while out and about, why not someone you are courting online? A webcam will answer many of the ‘intangible’ questions because you can see your muse on the screen. A person can’t really hide how they look on camera, and you can see how they flip their hair or turn their head while talking. 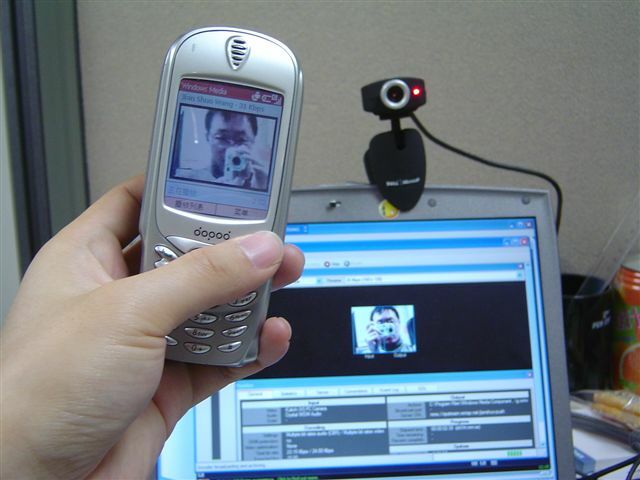 If you don’t want to be seen, a webcam is still very handy for taking pictures to send or post. It has the added advantage of being fully in your control and if you don’t like the photo, delete it! Here are a couple ideas that will make the distance is tolerable until you can be with them in person. Go on a webcam date. If you both have laptops and webcams, find a cafÃ© or restaurant that has WiFi available, set your laptop up on the other end of the table and enjoy a meal together. Guys, if you are clever enough you can even arrange to pay for the date by some simple advance calling to the restaurant your date will be in to make payment arrangements. In the end, nothing will replace real world contact. Until then you may discover a rhythm to your long distance relationship that you never expected by using some of these ideas. C’mon, we’re going to the hardware store! This entry was posted on Monday, January 19th, 2015 at 12:27 pm by Tim Hief and is filed under Love and Romance. You can follow any responses to this entry through the RSS 2.0 feed. Both comments and pings are currently closed. Great blog Tim, full of info I had no idea. I am one among the many online couples who met my boyfriend online. On our first date, we still had no idea what each other looked like. A real blind date. The moment we met in person, we both knew we really were attracted to one another. Physically, mentally and spiritually. Great idea on the web wedding! I would have never thought of it! I have thought about blogging about our online relationship and how it came to be, in fact, I have thought about it for a long time. In order to write it, I would have to expose the hardships we endured, and so I would need Paul's guidance on that area, but I think it would make a good story about the trials and tribulations of an online relationship. Thanks for your insight Tim, you are amazing! Donna – Chatting does create enough isolation, even a sense of safety, that some folks will be more direct about what they are all about. As in the real world though, it's hard to know what to trust. Rose B – Congrats Rose! Perhaps you should blog a bit about your succesful courtship. I think others would benefit from it. Wouldn't it be cool to get a simple webcam feed going on Yahoo or MSN so we could all 'Attend' your wedding? Eve – I welcome any way to find a truly compatible match for me. It's exciting whenever and however that happens for anyone. I like the nickname '360', I think Disco Dave and Nat should use it. LOL Oddly, the goal here, while looking (or as some do, waiting to be contacted) is to NOT marry the wrong one. A failed online relationship is to be applauded as much as one in the real world because it means you didn't make the wrong choice. I met both of my previous wives at church and still ended up with the outright lies and half truths I see online. I have a bit of a different view I think. Most see a breakup before marriage as sad (and it usually is for a bit of time), I see it as a victory and usually say, "Next! One down, three billion to go." Oregoncelt – The rules aren't really any different in the real world. For example, be nice, tell the truth, don't send or post misleading information photos, answer their questions or say you'd rather not discuss that question at this time, etc. And thank you, I hope I'll find someone when the time is right, whether online or in the real world. Fascinating reading, Tim; I see the beginnings of a book here. It'd be tremendously useful (and, who knows, lucrative too). Very interesting…I am SO glad I'm married ;D I don't even know how I would go about it if I weren't! Rose B would "B" one of those who has been successful at this online dating thing! AnNother that comes to mind is my friend Disco Dave–who has married his love Nat. They are currently explecting a baby girl whom they are nicknaming "360". Ok, I am joking on the name–but the rest is true. Interesting, if I was single and looking I would definitly look into online dating. I have a lot of fun keeping up with friends, in fact I think I have a window into the lives of some of my friends here, and they on mine that we would not have in "real life"
Sunny – This will be my first summer with the Crossfire, it looks great! Now, if I can just manage to finish my "Win friends and influence people" cassette tape series without the deck eating the tape! Ok–for the record–this is my second attempt at commenting on this blog. Here is a prime reason that internet dating isn't all it is cracked up to be. Timing is eveything–and had I been a potential date–I might have lost out to Sunny there above me–lol! Ok–this is a very clever post–very modern thinking here. The only issue I see is that the largest and most important form of communication, (body language)—is left out of this equation. I suppose that one might remedy that with a web cam–but in my inexperienced opinion–that sounds a little PeeWee Hermanish to me–a fish eye lens on your potential mate. I believe that touch, feel, smell, etc—all of those come into play and are required for truly getting to know someone and the chemistry between the two. I know it can work–I have friends who have met online and it has worked–but seems extremely rare in long term. The biggest problem I see is that once the 2 actually meet–when all of the feeling senses and body language come into play–they realize that the person they thought they were head over heels with–is really NOT as they protrayed online. A rockin' dude, with a great personality and a Crossfire doesn't need online dating…that's my opinion!! Here comes summer….wait and see! « Sloemotions and Twitter-Crack. A Brief Rant.